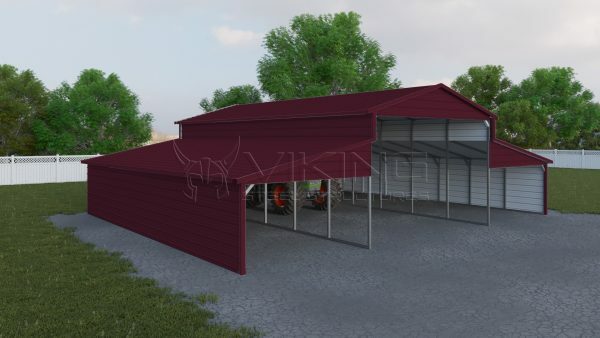 48′ wide x 40′ long Vertical roof style Carolina Barn. 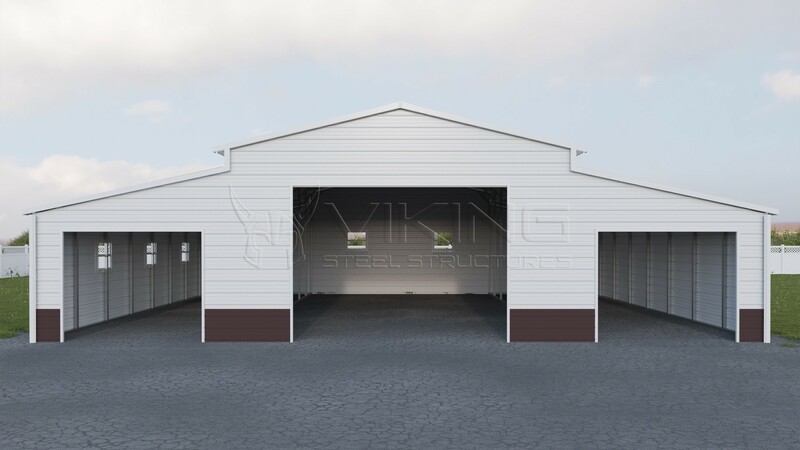 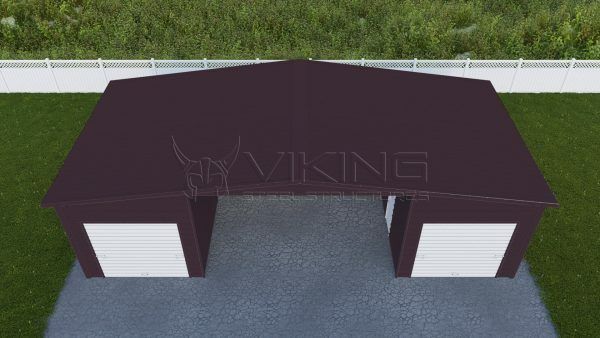 Center unit is 24′ wide x 40′ long with 14’side height, both ends closed with one large frame out in the front. 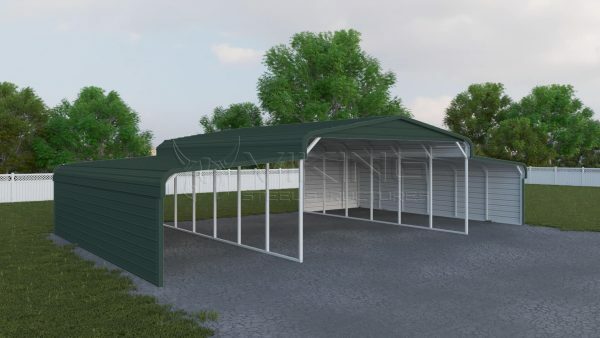 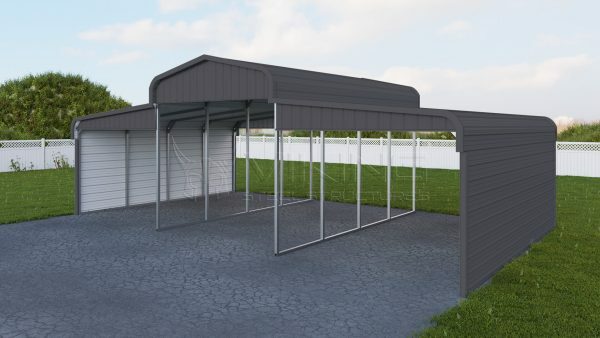 Lean-to’s are 12′ wide x 40′ long 11′ side height, fully enclosed with 2 large frame outs on the front and 5 windows.